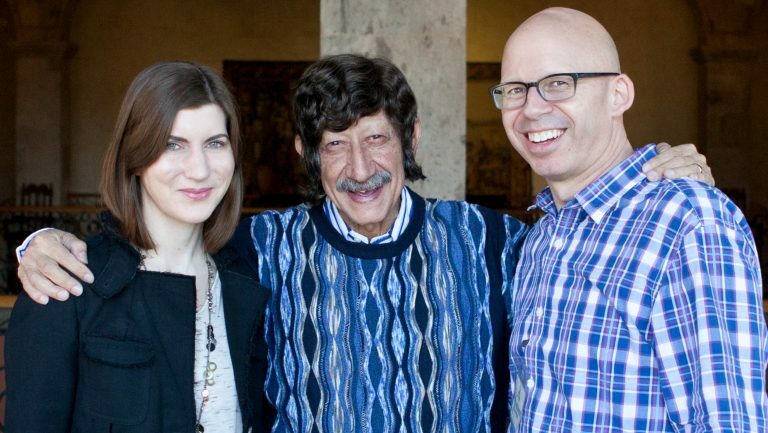 Dakota Semler and Giordano Sordoni. Photo courtesy of Thor. 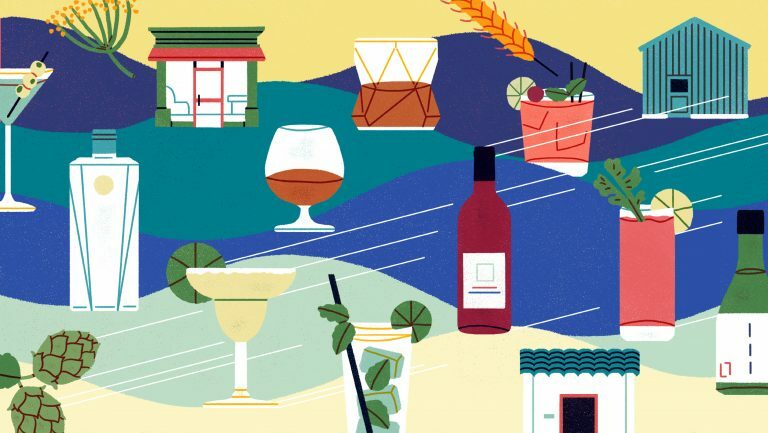 The hipness of your average cocktail bar stands in stark contrast to the unglamorous reality of what it takes to move tons of product along the beverage supply chain every day. It’s been done the same way for years—with pollution-spewing diesel trucks traveling along roadways, their drivers battling traffic for hours on end. But that scenario is about to change. 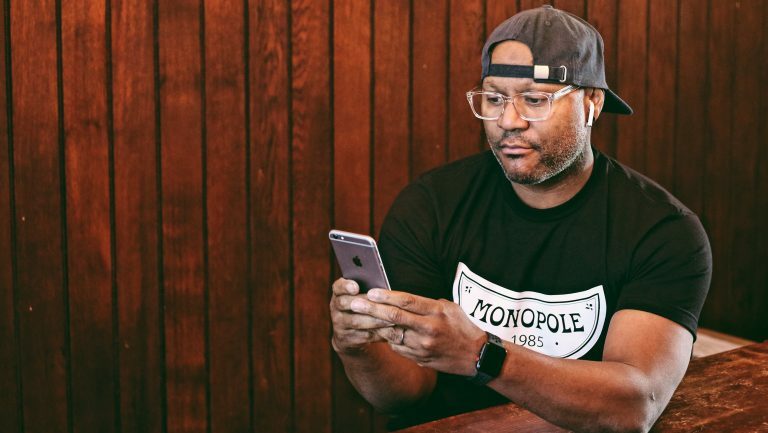 The vehicles that drive the beverage industry are about to get a major revamp, one that might just bring a touch of genuine high-tech hipness to what has until now been a pretty staid part of the business. A new breed of transportation entrepreneurs are testing fully electric and even self-driving trucks to tackle some of the beverage industry’s most pressing problems, including driver shortages, high maintenance costs, volatile fuel pricing, and safety concerns. While hybrid-electric trucks have been around for some time, these new, fully electric versions represent a leap forward. 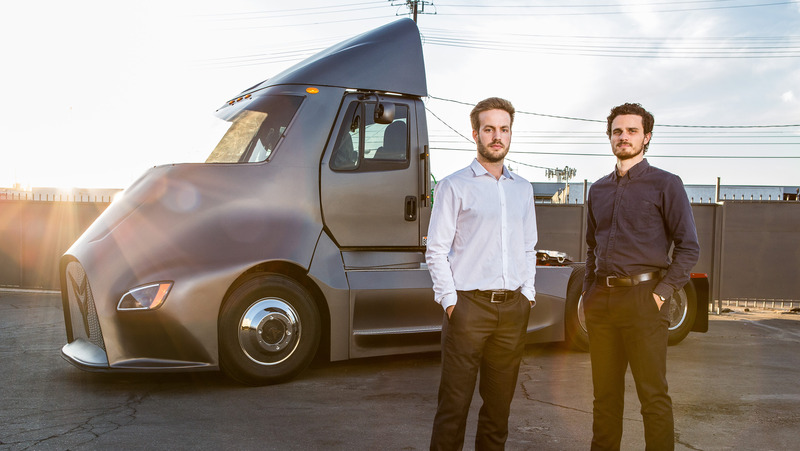 The Los Angeles–based manufacturer Thor Trucks, for example, has designed a fully electric Class 8 semitruck, the ET-One, a sleek-looking vehicle straight out of the future. 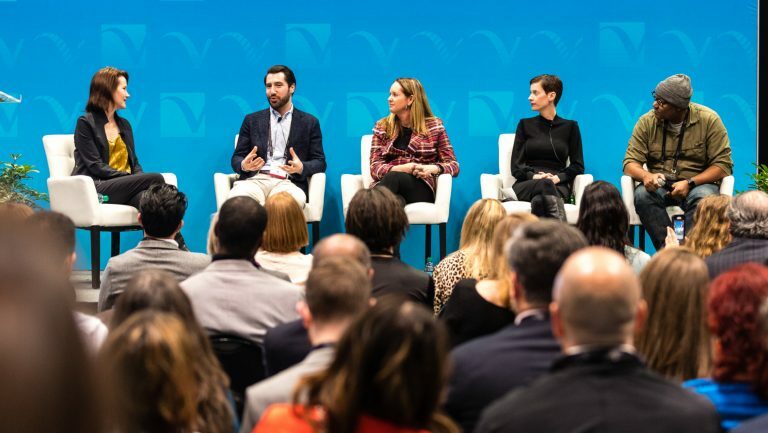 Thor doesn’t refer to itself as a trucking company but as a “transportation lab tackling fleet management problems.” And its two founders, Dakota Semler and Giordano Sordoni, stress their “passion for clean fuels” and “positive social impact” as much as anything else. Thor joins the likes of Tesla, Nikola, Workhorse, the Chinese company BYD, and others in developing this next generation of electric and self-driving trucks. Even trucking industry veterans like Peterbilt, Daimler, and Cummins are announcing their own electric models. 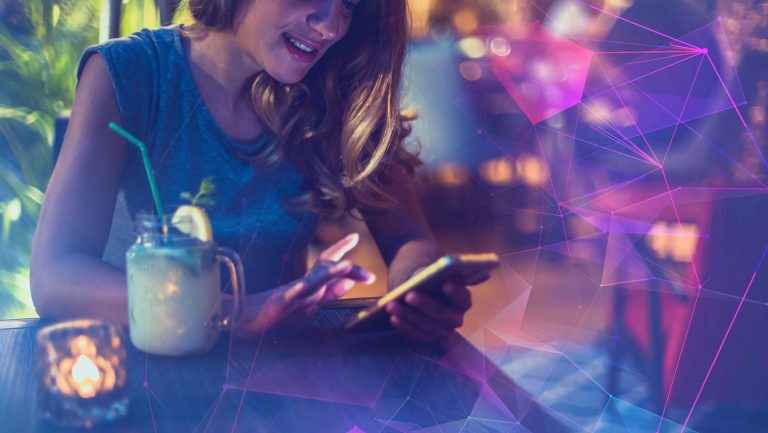 The sheer size of the beverage alcohol industry, along with the unique challenges of beverage distribution, makes it especially attractive to this new wave of trucking entrepreneurs. And it helps that the current limitations of electric-truck battery technology fits the nature of beverage distribution quite well. “Electric trucks also provide a more efficient solution in routes that have many starts and stops and [in which there’s] a lot of idling. Beverage routes fit this [scheme] well,” Sordoni says. Part of the reason for that is a feature of electric vehicles called regenerative braking—every time the driver puts his foot on the brake, some of that energy is transferred back into the battery instead of just being wasted, as it is in a traditional truck. Sordoni adds that for short-haul distribution, Thor’s electric trucks offer “dramatically lower maintenance and fuel costs and zero diesel compliance headaches. Going electric,” he says, “offers a significantly lower total cost of ownership, in addition to being friendlier to the environment.” Sordoni says that Thor is also currently conferring with a number of beverage alcohol companies and has secured orders for its trucks from a variety of grocery and beverage distributors. Gary Thompson, the executive vice president and general manager of Powers Distributing in Orion, Michigan, has been using hybrid electric trucks since 2009. He says he is now “very eager” to try the new, all-electric tractors. Beverage manufacturers are also quite interested in the new technology. Anheuser–Busch, for example, ordered 40 of Tesla’s electric semitrucks in 2017, followed in May of this year by an order of 800 hydrogen-fuel-powered Nikola trucks. But if self-driving trucks eventually become a reality, A-B will be remembered for an historic milestone. In 2016 the company made the first beer shipment with such a vehicle. It used an Otto self-driving truck to deliver thousands of cans of Budweiser from an Anheuser-Busch facility in Loveland, Colorado, to the company’s wholly owned distributorship in Colorado Springs—a distance of 100 miles. 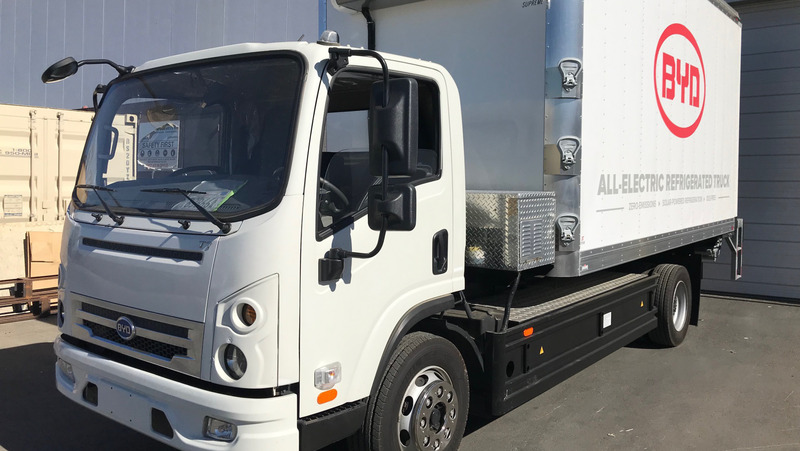 A-B will start testing the Nicola trucks in the first half of 2019 and expects them to be integrated into its dedicated fleet by 2020. And the company continues to work with Tesla to establish the an infrastructure plan to support electric trucks; Soeters says A-B is excited to see the progress Tesla has made since the two companies’ agreement in 2017. A-B is not alone in betting on the future of autonomous trucking. Ryder, one of the largest transportation and logistics providers in the U.S., is actively engaged in testing such future technologies as self-driving trucks. It has leased some of its trucks to Starsky Robotics, which has upfitted them with autonomous driving technology, and has gotten clearance to test them on runs across highways in Florida, says Melvin Kirk, the chief technology officer for Ryder System’s Fleet Management Solutions. Kirk says that according to one early-stage deployment scenario, a beverage truck is dropped off by a human driver at a highway way station. There, the autonomous capability would take over for the length of the smoother highway drive. A human driver would then take control of the truck for the final leg of the trip, through the more complicated urban driving routes. 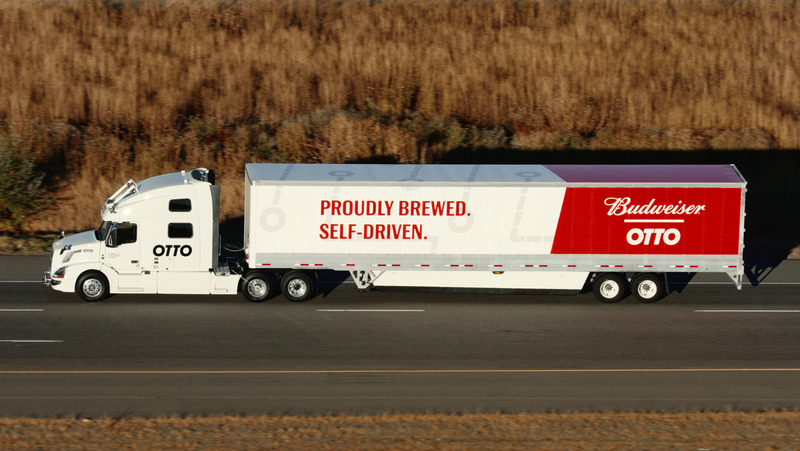 Aside from improved safety, advocates say that autonomous trucks would help the beverage industry with an ongoing driver shortage that’s driving up labor costs—if the distributor can find drivers at all. 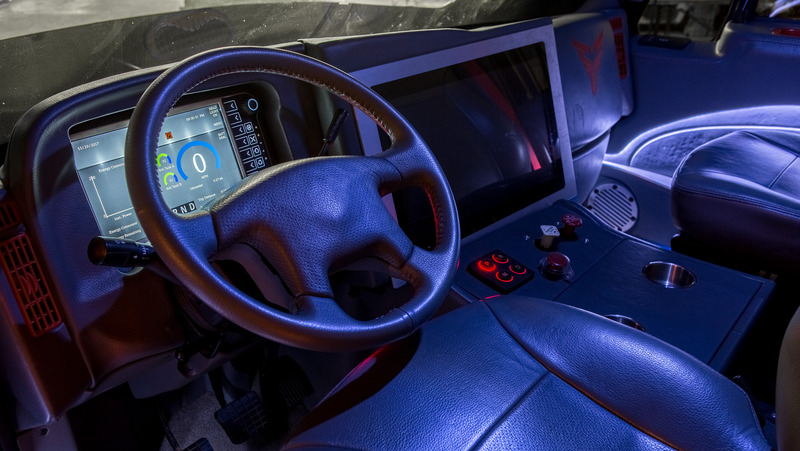 Many details must be ironed out before these futuristic trucks become widely used. For autonomous trucks in particular, government regulations and insurance policies must be established. For electric trucks, a charging infrastructure must be built out. Chris Nordh, the senior director of advanced vehicle technology and energy products for Ryder’s Fleet Management Solutions business segment, emphasizes the need for charging infrastructure to be installed where the trucks are parked or where they reside overnight.